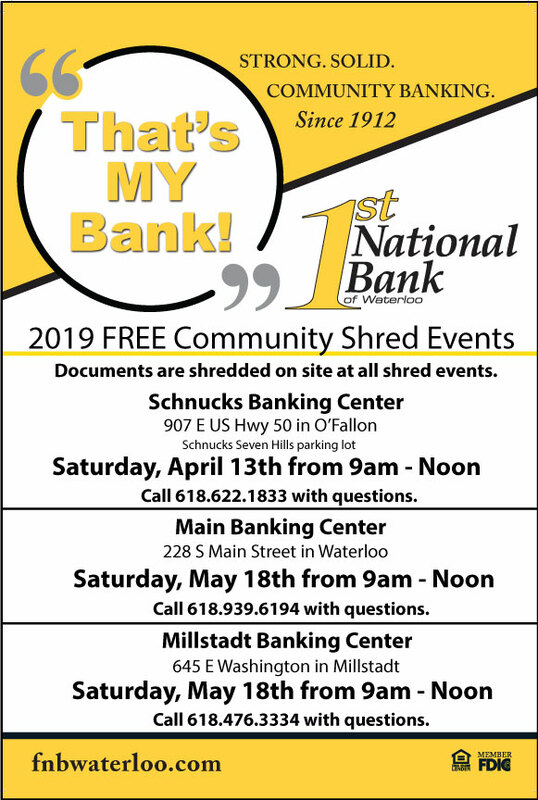 First National Bank of Waterloo is taking part in a national program designed to help kids develop savings habits early in life. The program is sponsored by the American Bankers Association and relies on local banking volunteers traveling to schools, educating kids about topics such as interest rates, debit cards and the basics of where money comes from. 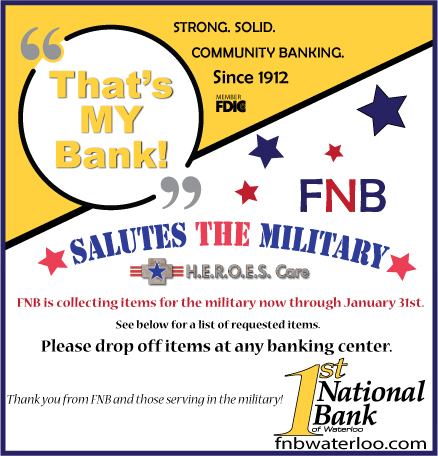 First National Bank of Waterloo’s Marketing Director, Laura Mergelkamp, said the most important message they are trying to teach kids is that it doesn’t matter how you save, but it’s important to start saving. Mergelkamp said the program also focuses on teaching kids to make smart financial choices on a daily basis. Mergelkamp uses a ‘money tree’ to explain how every financial decision they make requires them to make a choice between saving and spending. “I often use cereal as an example. Kids usually want to pick the one with the really pretty box but they don’t think about the fact that it costs $2 more than the same cereal in a different box. It’s a good visual for them to see how quickly the money goes depending on the choices they make,” said Mergelkamp. 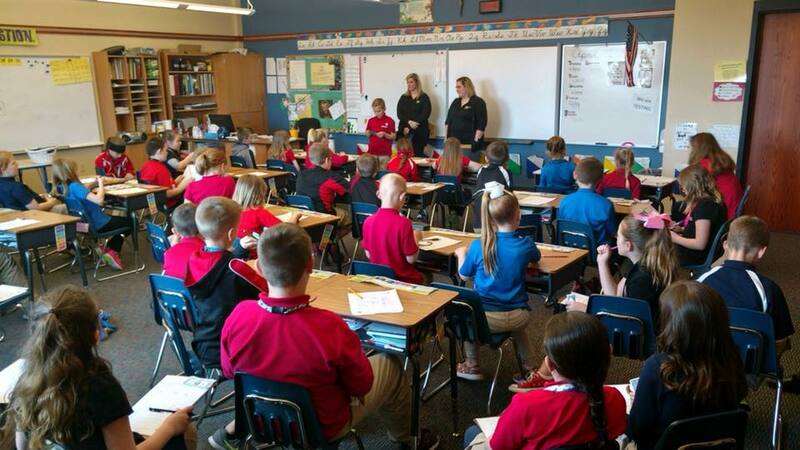 First National Bank of Waterloo’s employees travel to ten schools throughout the Metro East speaking with kids about financial topics. The program reaches more than 800 students each year and continues to grow. Click here to see our Fox 2 News segment! Click the link below to print a copy of the coloring sheet for each age category or stop by any banking center. 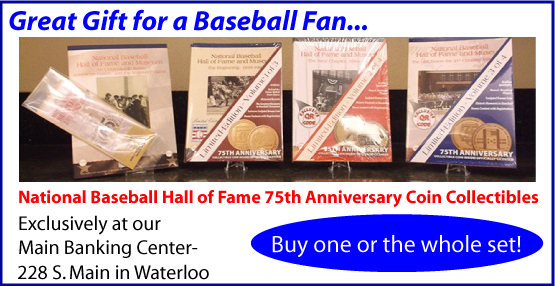 Prizes will be awarded in each age group at each banking center. 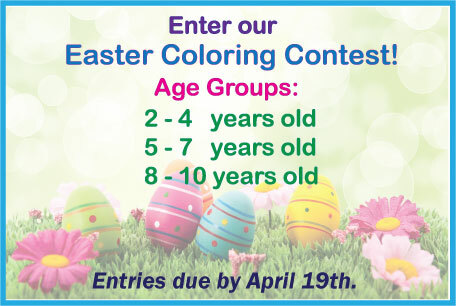 Entries are due by Friday, April 19th to be included in judging. Be creative and have fun! GOOD LUCK! Click here for a list of the most frequently requested items. 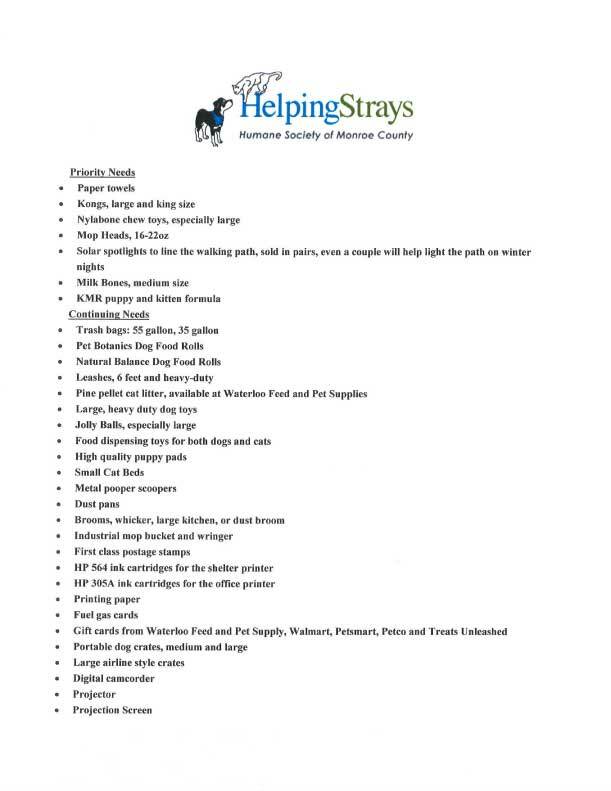 First National Bank of Waterloo’s Main Banking Center has teamed up with Helping Strays, Humane Society of Monroe County! 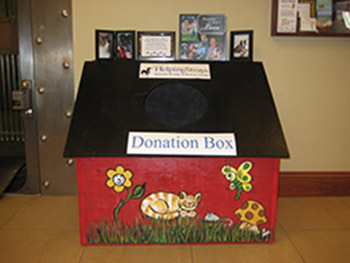 The Main branch (228 S Main Street in Waterloo) is an official drop site for donations off Helping Stray’s wish list. 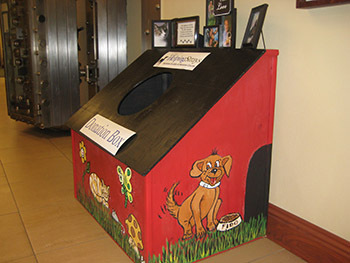 A drop box is available in our bank lobby. Please see the list of requested donation items. If you know of anyone who currently donates or would like to, please share this information with them! Ready to get started? Click the button below to apply today! 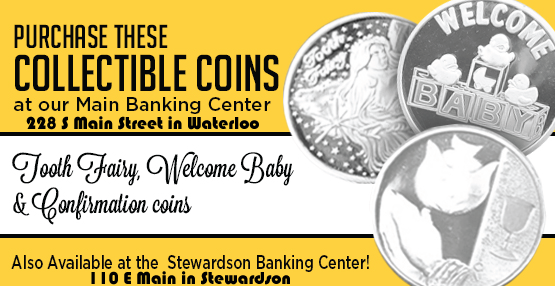 ©2017 First National Bank of Waterloo, All rights reserved.